Does Social Media Give Israel An Advantage in Public Diplomacy? 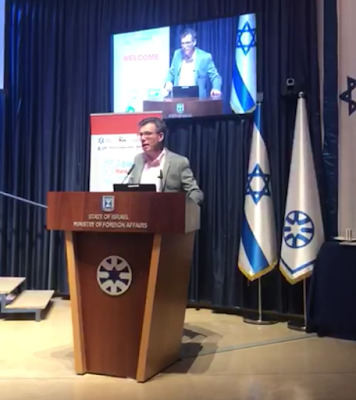 One of the last speakers to address the Jewish New Media Summit 2 weeks ago was Emmanuel Nahshon, spokesperson for the Israeli Ministry of Foreign Affairs. He spoke on the topic of "Israel and the Media: Challenges and Opportunities." Nahshon noted that there are between 250 and 300 foreign journalists posted in Israel on a permanent basis, even while the nature of media in the 21st century is changing. "Classical" media is in a battle with social media, and losing its importance. Nor on the basis of "politics." What Is The Job of a Jewish Blogger Writing About Israel? Of the topics that came up during the Jewish New Media Summit in Israel 2 weeks ago, one thing that was not discussed was what exactly we were doing there. That of course was taken for granted, though not all of us necessarily had the same goals in mind. There were approximately 150 bloggers and journalists from about 30 different countries attending. The bloggers outnumbered the journalists. there is a difference between journalists, whose mandate is to strive for facts and fairness, and bloggers, whose goal is opinionated engagement. That is the standard answer, and generally still valid. Maybe The Problem With The Debate About Israel Is That There Isn't One? If your child came home from college and said she was challenged by a classmate who claimed that Palestine is Arab land stolen by the Jews, could you provide her with a response? The campaign to delegitimate Israel has been scoring successes. The efforts to counter that campaign have often proven inept. That too I find astonishing. In the arena of argumentation, the Jews are practiced, having continuously honed their debating skills since Abraham questioned God about Sodom. They should be formidable in explaining why Israel is not colonialist and refuting other calumnies. Yet they’re often beaten into retreat by anti-Zionist polemicists. There’s no excuse for it. He then goes on to outline a response. On March 19, 2004, a man was shot to death while jogging in French Hill in Jerusalem, Israel. And Fatah was profuse in its apologies. "All of this isn’t to say that hate speech doesn’t matter. It does. But white supremacists are not joining the Nation of Islam, not now nor ever." Alyssa Milano and all the white women lined up behind her are actually enforcing the power of white supremacy through their misguided attempt to challenge hate speech. But what is interesting is Fendlay's apparent ignorance of the history of the Nation of Islam and how it has affiliated with white supremacists over the years. Following the discovery on October 22 of a mail bomb that was sent to the home of financier George Soros, the media responded with the claim that opposition to Soros was based on Antisemitism. The Guardian article quotes from a post on the ADL blog, written 11 days before the attack - "The Anti-Semitism Lurking Behind George Soros Conspiracy Theories." well-worn anti-Semitic tropes such as control of the media or banks; references to undermining societies or destabilizing countries; or language that hearkens back to the medieval blood libels and the characterization of Jews as evil, demonic, or agents of the antichrist. The Washington Post joins the chorus with Conspiracy theories about Soros aren’t just false. They’re anti-Semitic. And the New York Times? When the popular demagogue Linda Sarsour demonizes Zionism, she tends to talk in generalities, leaving its evils to the imagination of her audience. Considering her unconditional support for Farrakhan and his own incitement of Jew-hatred, it is not difficult to figure our where Sarsour and her allies stand. But Zionism, for all of Sarsour's talk, is simply the national movement of the Jewish people in support of the re-establishment of the Jewish homeland in its historic territory. That being said, how many Jews in the US are Zionists, that is -- how many Jews are pro-Israel? "Those who call me a bigot, a hater, an anti-Semite, I want you to listen to me real carefully. If anything like that comes out of my mouth I want you raise your hand and stop me." 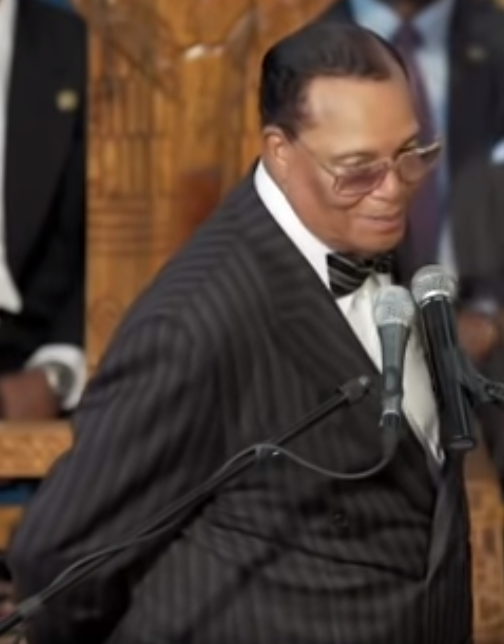 Louis Farrakhan seems to have been in the news fairly often as of late -- not only for what he is saying but for what others associated with him have not been saying. Seems like the antisemitism that comes out of his mouth doesn't get a reaction. Social media platforms don't condemn it. And of course, the leaders of Women's March don't condemn it either. But there was a time when racist comments coming out of The Nation of Islam did draw condemnation. It's just that you have to go back 25 years in order to find it. 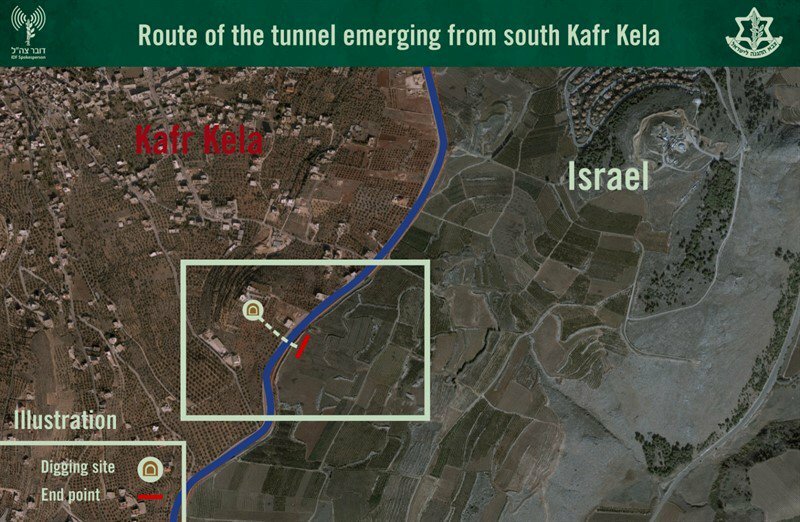 Where Was UNIFIL While Hezbollah Was Digging Its Terror Tunnel? And where was UNIFIL all this time? In the image below, the UNIFIL watchtower is indicated by the white circle, just hundreds of meters from where the tunnel ended. 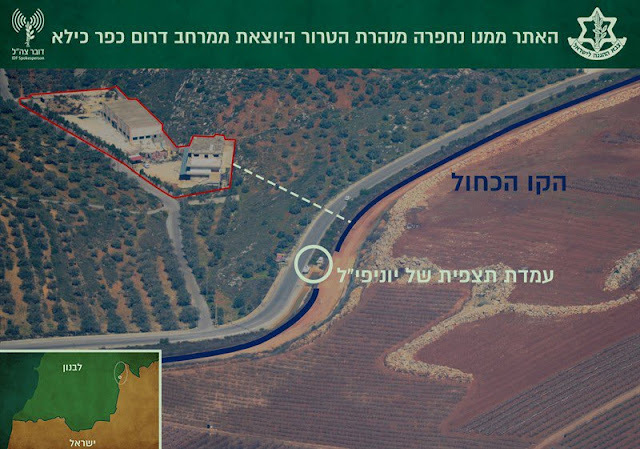 Clearly, Hezbollah is not afraid of UNIFIL. First Jews Are Not Allowed To Define Antisemitism - Now We Can't Define Our Holidays!? The underlying claim is that when Jews want to define Antisemitism, it is really nothing more than an attempt to undermine criticism of Israel. And now, a similar kind of muzzling of Jewish opinion took place just the other day -- this time affecting how Jews talk about their own holidays. Last week, 150 bloggers from 30 countries around the world came to Israel at the invitation of the Israeli General Press Office for the 3rd Jewish Media Summit, on the theme: Israel and the Jewish World Relationship: It's Complicated. That doesn't mean that Israeli/Diaspora relations were the only topic. One of the topics was Antisemitism - discussed on a panel featuring Lior Weintraub (media advisor and former diplomat), Anshel Pfeffer (Haaretz), Caroline Glick (Jerusalem Post, Maariv and Breitbart) and Efraim Zuroff (Israeli historian and Nazi Hunter). Haviv Rettig Gur of The Times of Israel moderated.